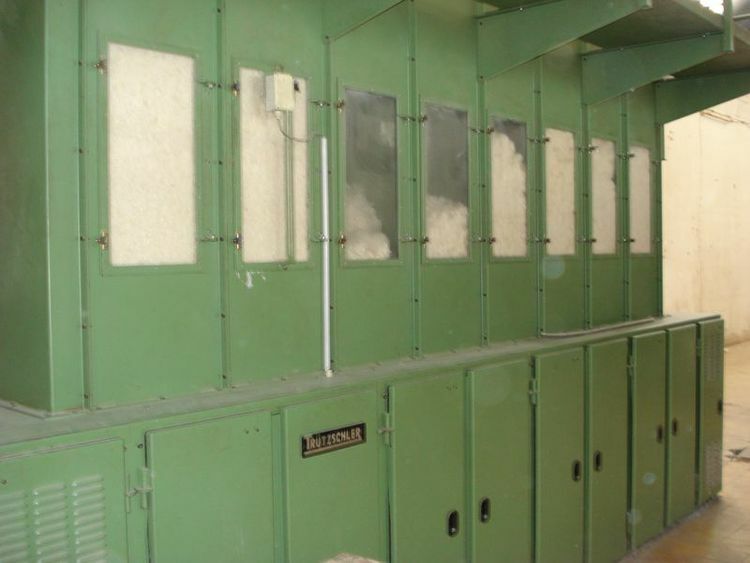 1 Trutzschler opener, model RN , built 1986, centralized suction scraps,completed with Trutzschler cage-condenser, photoelectric stop cells. 6 Trutzschler feeding-fan for chute line, built 1986. Trutzschler chute feed , centralized suction under cards and flats, electrical power . 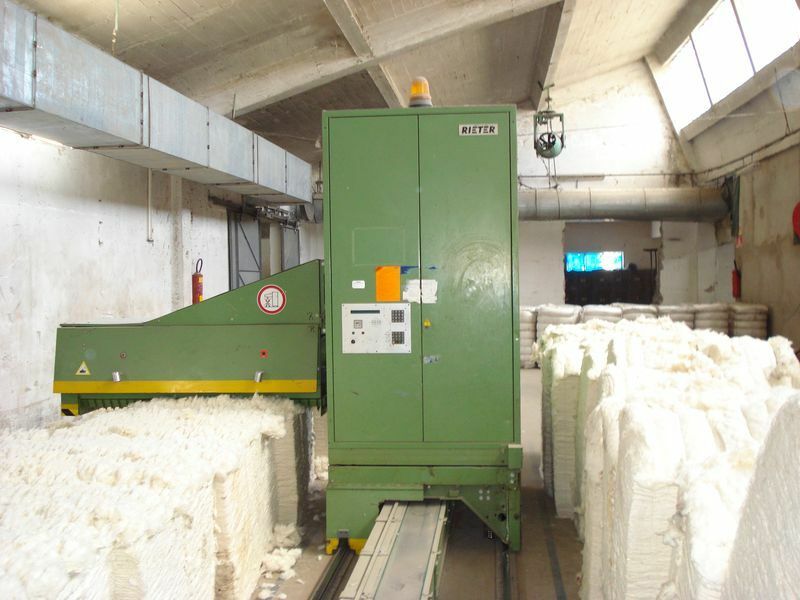 2 Trutzschler mod BOA built 1998 blending feeder for polyester fibers. 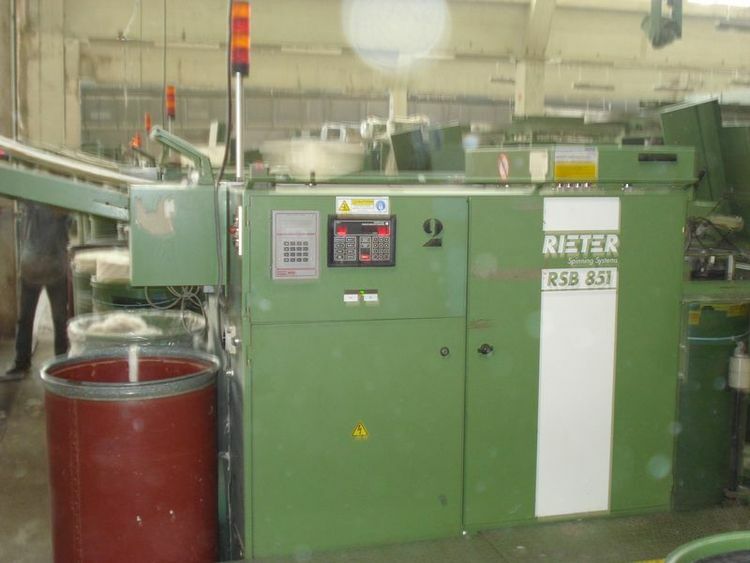 1 Rieter feeding-fan for chute line, built 1988.
automatic cans change, safty covers, exit can-coiler 32"x47". separate suction under cards and flats. 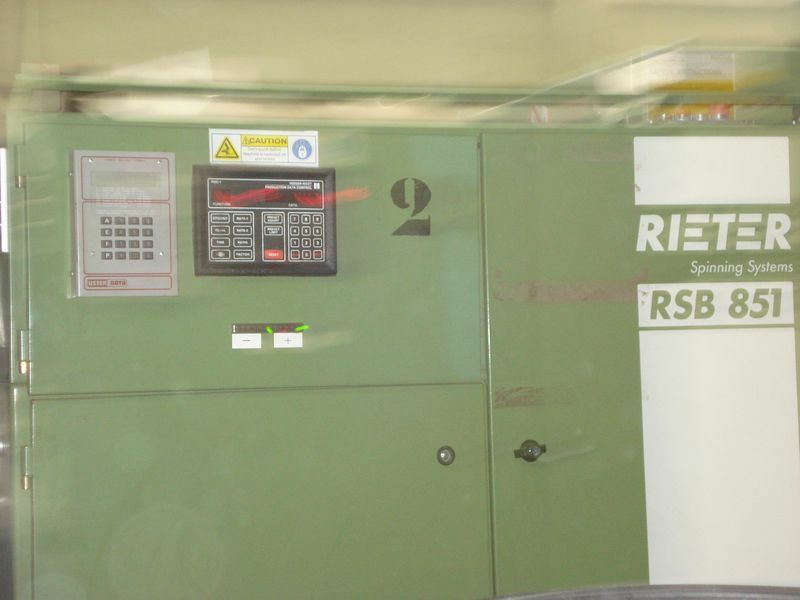 draw pneumatic pression, draw speed 600 meters/m. autoleveller Uster sliver control. Electronic drawing. spinning rollers card type OB 20 (rpm . 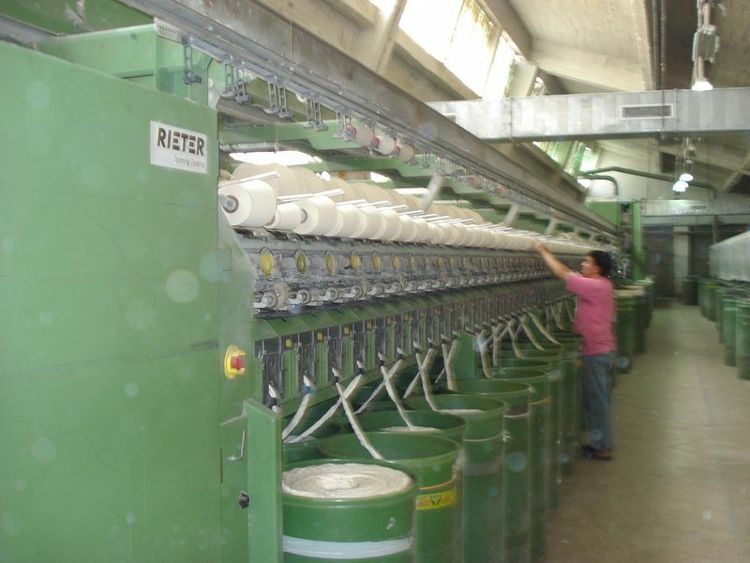 8000-).Uster UPG 20 yarn clearer. 1 balance for fibers control. 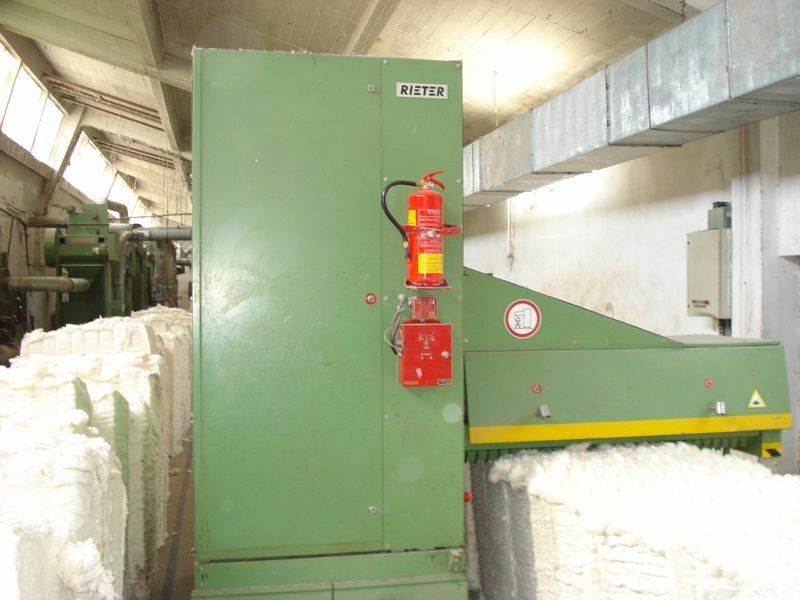 1 HVI for micronaire fibers control. 1 black-tables device for optical regular yarn control.